I know one book is just not enough! And buying books almost takes up all your pocket money.So here are sites which provide you a free ebook expeirience where you can read and write. If you have what it takes you may attract a few publishers as well. – My favourite site of all time. Just signup and have books at the tips of your fingers. 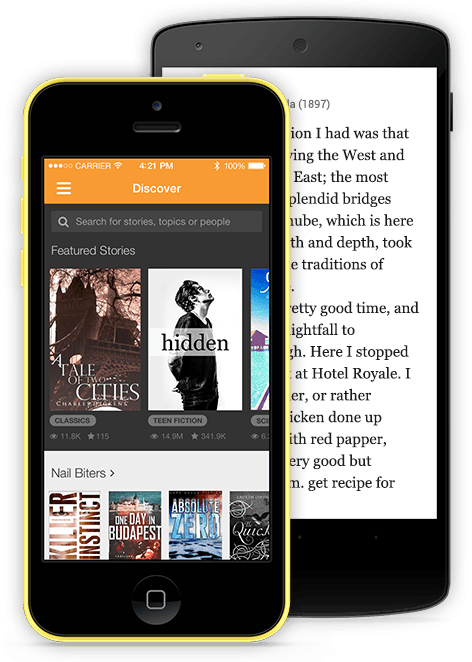 – Lets you interact with the writer and the other readers through in line comments. – You’d have to download the app. But it’s worth it. -As a writer you can earn! -Again as a writer you can get published and as a reader enjoy books for free. -You just have to subscribe with your email address and they mail you the deal of the week. In which the free and discounted ebooks are available for puchase on sites like Amazon,Google,Kobo and App Store for a temporary period of time. That’s all. The above mentioned sites are my trusted places which I visit when I’m broke so go try them! And thank me later.